Enrich someone's special celebration with a Hickory Farms® Gift card, and let them choose from both our latest offerings and traditional favorites. 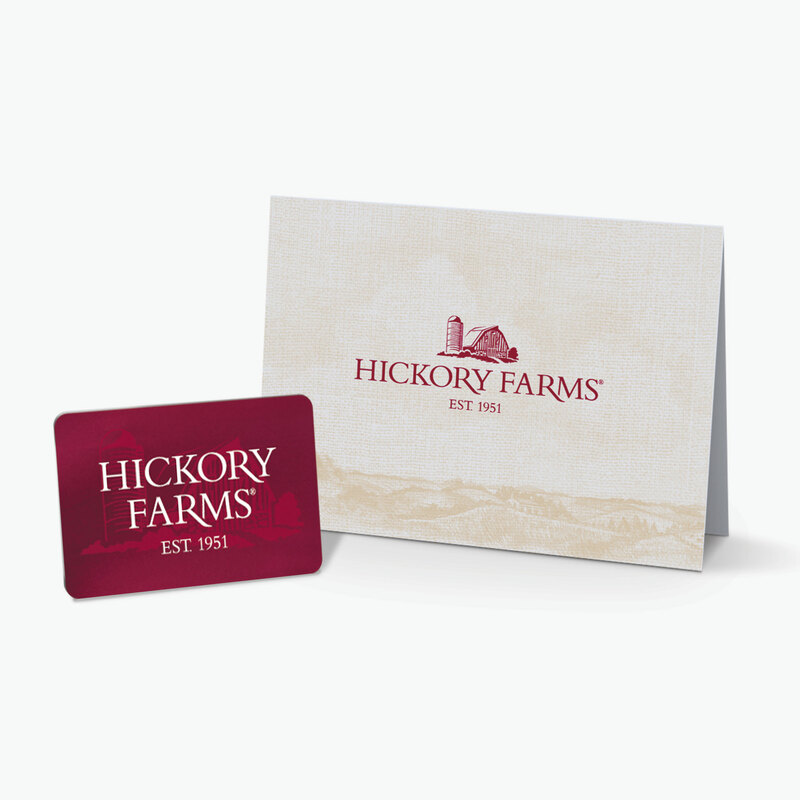 Note: Hickory Farms Gift Cards are redeemable at hickoryfarms.com, through catalog purchases or at any Hickory Farms store. Free standard shipping is included with every gift card purchase.